The University at Albany disposes of approximately 1,572 tons of garbage per year. Annually we recycled 249 tons of mixed paper, 34 tons of comingled product (glass, plastic, tin), 109 tons of scrap metal, 3.2 tons of tires, 2.8 tons of motor oil, 1 tons of kitchen grease and 0.23 tons of batteries. UAlbany faculty, staff, and students participate in the nationwide RecycleMania challenges in an effort to increase waste reduction and recycling. If you would like to know more about recycling on campus, click here. Check out this brochure for your essentials on waste reduction at UAlbany. 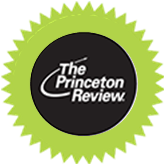 The University at Albany is a proud participant in the recycling competitions and recyclable material benchmarking strategies organized by RecycleMania. 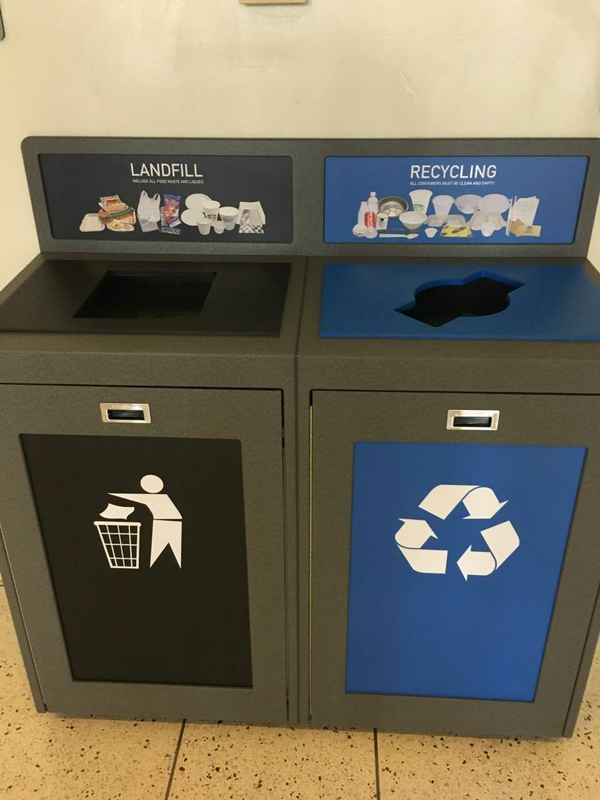 In the Libraries, Campus Center, and on the Academic Podium a projectto replace the aging waste and recycling bins and update them with new and better labeld bins to help students identify which items can be recycled and which items must be sent to the landfill. Starting in Spring 2013, we started to compost pre- and post-consumer food waste at Indian Quad Dining Hall as a pilot program. The project was so successful that State Quad Dining Hall was added in Spring 2014. Composting is taking place in all of the Living Residents Dining Halls!There is currently a project that allows offices on campus to compost their food scraps to further divert food from our waste stream. Contact gogreen@albany.edu if your office would like to compost!